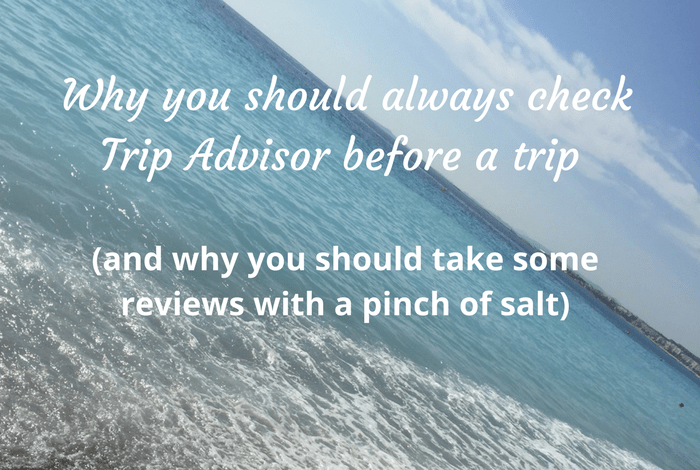 Why you should always check Trip Advisor before a trip (and why you should take some reviews with a pinch of salt)…. 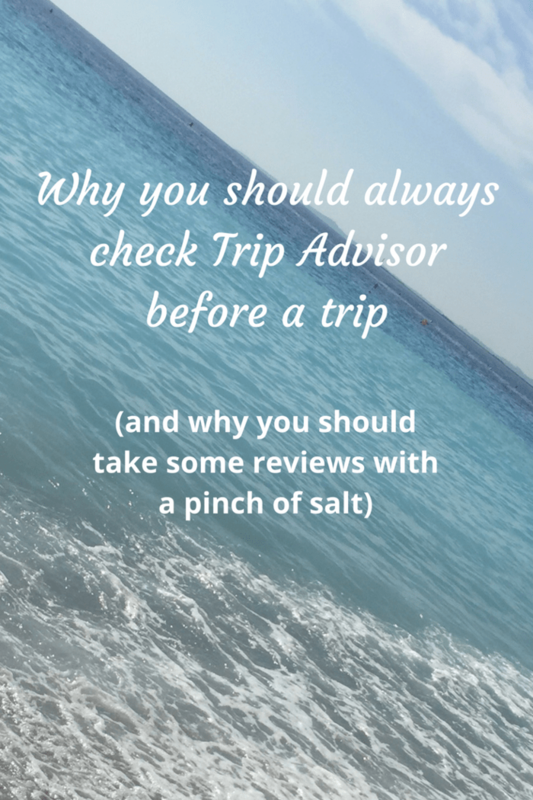 Today, I’m going to tell you why you should always check Trip Advisor before a trip but also, why you should take some reviews with a pinch of salt. Have I ever told you that I used to work as a travel agent? I worked in a small independent travel agency for about five years after leaving school and I absolutely loved it and not only because I got at least two holidays a year either free or massively reduced. ;-). No, the main reason I loved it was because I love to travel myself and I really enjoyed being able to help people find their perfect holiday knowing that they’re going to have such a great time for that one (or two) weeks. During my time there I saw some ridiculous complaints – my personal favourite being the 1* review I read about a hotel because of the fact that someone got sunburnt as the sun was too hot! How very dare the sun have been hot in Majorca in July!!! I also had to deal with complaints about everything from the traffic on the way from the airport and the fact that the Spanish waiter in someone’s hotel had a very strong Spanish accent! So that’s why, until recently, I didn’t necessarily check Trip Advisor before I booked a holiday. 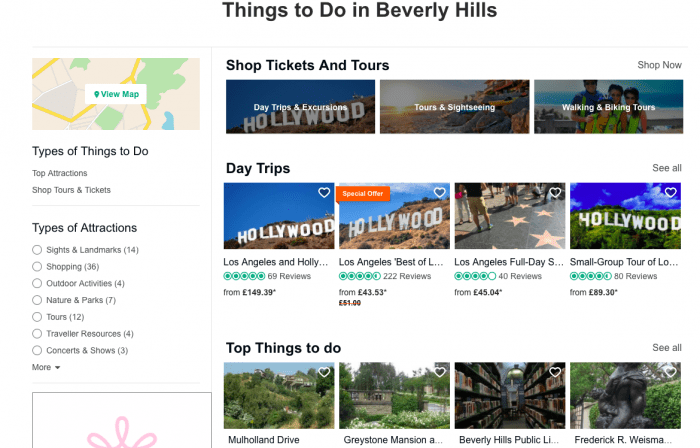 However, I was having a quick search online after I booked our forthcoming LA trip as I wanted to see what was around the hotel we’d chosen. The hotel we’d picked was a 4* which was listed as being on Sunset Boulevard which I thought was in the area we wanted to be in and it had some lovely reviews on the website and the photos of the hotel and pool area looked OK – it was far from the most expensive hotel on there so we weren’t expecting luxury and were planning to use the hotel as a base mainly as we like to get out and explore. But when I was searching for what was around the hotel, the first thing that came up in the search was a trip advisor review which said there was NOTHING around the hotel at all and that it was on a main road. This was not what we wanted at all! I headed to the Trip Advisor website and discovered many reviews saying the hotel was amazing and it was given a 4 and a bit star rating so at first, I was reassured. But digging deeper, it turned out that yes, the hotel was on a busy road with nothing around it at all. It seems that the hotel is well loved by people who are visiting the area by car or hiring a car when they get there because of its location so close to the main freeway and the free parking – these people are booking the hotel for that reason, therefore, they’re happy enough to give a high rating as the hotel itself is very good from what I can see. These excellent reviews did have some not-so-good reviews mixed in from people like us who were not expecting it to be on a main road with nothing around it (literally the reviews say no shops or eating places within walking distance). They also say the traffic noise is horrific on one side of the hotel and not great on the other. This prompted me to do some googling as to how far the hotel was to the nearest attractions and I discovered that not only had the hotel description left out the traffic/main road situation it had also given the address incorrectly. It specifically said ‘on Sunset Boulevard’ which is why I hadn’t done specific research into the location as I thought that meant it would be OK but it was actually a ten-minute drive from Sunset Boulevard! This was a great thing though in the end as I complained to the company in question hoping they would allow me to change hotels without charge but they did way better than that – they recommended a hotel right in the middle of Beverly Hills about a minute from Rodeo Drive and offered to upgrade us for free. We could never have afforded the hotel they picked for us as it was about £900 more for the week so we’re now staying at the most amazing hotel for the price of the budget one we booked. How easy does that make it to choose a hotel? Not only can you see the reviews for hotels but you can check pricing and availability for locations you wish to stay at. You can see from the photo below how you can see the different deals available and the sites you can book on. I love that you can see reviews, compare prices and ultimately book your hotel so easily. 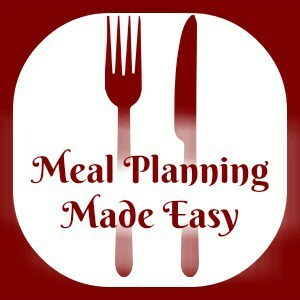 So there’s a list of trips you can book, things to do and day trips from where you’re staying. Again, you can narrow it down depending on what activities you fancy. Did you know that TripAdvisor has more restaurant reviews than hotels? It’s true. 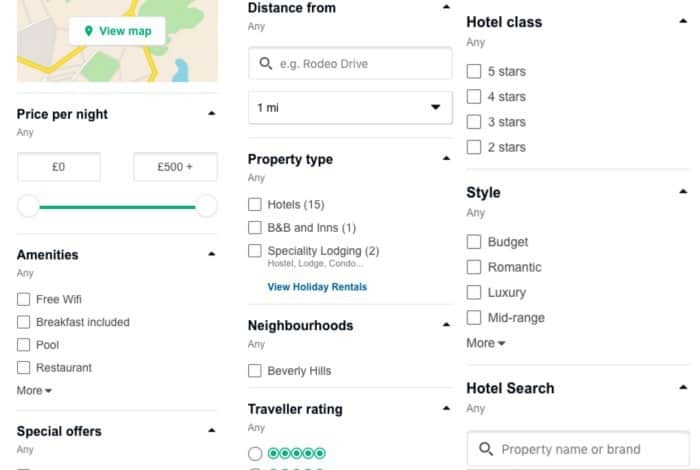 Checking TripAdvisor before heading off on holiday will easily allow you to check for a four-star hotel and restaurant in that area. It’s a one-stop site for all your needs when opting to travel for holiday. 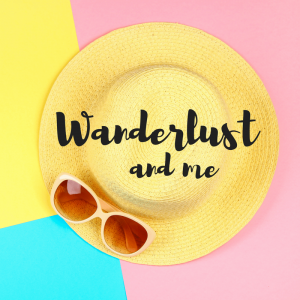 Each destination has a travel forum dedicated to it where you can ask all sorts of questions that will be answered by people who live there or who have visited in the past. Make sure you always check TripAdvisor thoroughly before planning your next holiday, it may be the difference between a wonderful holiday and a disappointing one. 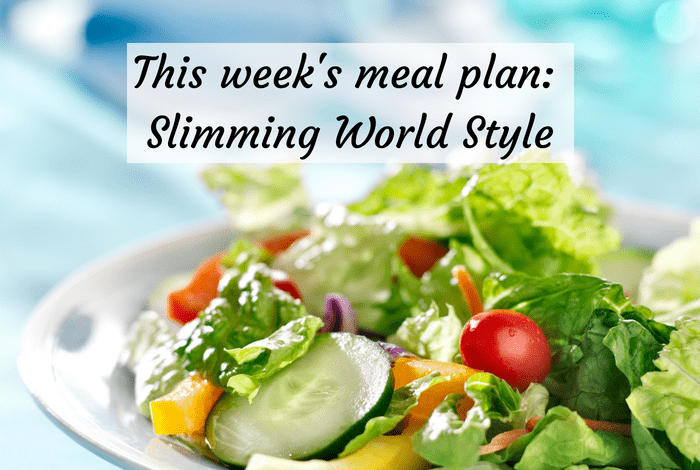 Meal Planning Monday – Slimming World Style….